How Personal are Your Learning Plans? Today on the blog we have a guest post by friend of EdVisions, Dr. Nancy Allen Mastro. We hope you enjoy her deep dive into personal learning plans and some best-practices suggested by Dr. Steven Rippe of EdVisions. 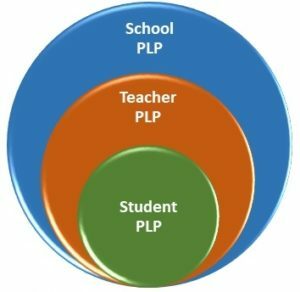 How Personal are your PLPs? Students in any college of education are exposed to many theories, but two stand out as fundamental to understanding how students learn and what motivates them to do well in school. Jean Piaget gave us his stage theory of cognitive development. Children, he said, learn by exploring their world. They construct knowledge by linking new information to what they already know, enabling them to add skills to their repertoire. In each successive stage of development, they process information in more abstract terms. Abraham Maslow articulated a hierarchy that reveals the range of underlying needs that motivate behavior and thus influence cognitive development. Needs such as food, safety, and love must be met before striving to reach levels of esteem and self-actualization. Most remember Piaget and Maslow more than others because their theories make so much sense. But knowing a theory only brings value to an educator if applied to practice. It’s difficult to step back and take the time to let students construct knowledge; we have mountains of standards to cover. It’s difficult to meet students’ emotional needs when a single teacher may see upwards of 150 students every day. Yet we try. We attempt to recognize each student for who they are and do whatever we can to help them grow as a person and master content so they can move on to the next grade. For some students in today’s classrooms, this somewhat superficial experience is enough. For others, it is not. Inequities, underfunding, and mixed political agendas compromise and strain the system. And somehow, childhood and young adulthood seem to have become more complex. As a result, so has teaching. If students’ most basic needs are not being met, how can we expect them to acquire new knowledge and expand their skill set? If new learning builds on what students know, how do we gauge when to introduce new content? To optimize learning for all students, we need a reliable and sustainable way to meet each learner where they are at on their personal journey towards maturity. This requires the use of an individualized plan. Individual plans have been around at least since the 1970s if not before. The most widely recognized efforts began in 1975 with PL 94-142, the first federal special education law which guaranteed a child with a disability a free appropriate public education. Outcome-based education followed shortly thereafter with its emphasis on mastery learning. Those who’ve been around a while know many more systems for instruction were posited and tried, but the goal of meeting individual needs remained largely elusive. Fast-forward to today and conversation centers on personalized learning plans (PLPs). Is it possible that after half a century of admiring the problem we are on the verge of a solution? It’s quite possible. A few things have changed since then. Despite the ills of the accountability movement, one positive effect is that it has made it impossible to ignore the number of students for whom the system is failing. We are desperate for an answer on how to ensure the success of all students. Second, we have better tools to help us assess student learning and measure growth. We have endless ways to capture learning in real time, and technology has multiplied how we can communicate about student progress with all stakeholders. We’ve also made great strides in articulating what it is we want students to know and be able to do. And third, we’ve had time to iterate. As pointed out, we’ve tried a few things since the early days of individualized learning plans. We’ve learned what works and what doesn’t to the degree we can position students and teachers for real success. The question is, are we willing to acknowledge those lessons and transform our practice? While many people have been writing and wondering about PLPs, EdVisions has been creating them. They’ve been on the ground with educators, digging deeply into what it takes to develop PLPs that are as meaningful to students as they are to the adults in their world. Dr. Steven Rippe, EdVisions’ Director of the Hope Survey and Organization Development has spent the last two decades working with over a hundred schools on personalizing learning. He started shortly after the National Association of Secondary School Principals (NASSP) published Breaking Ranks. “This is when it got in everybody’s mind we should do them,” he recalls. But the accountability movement, with its focus on high-stakes tests, sidelined the growing emphasis on developing PLPs. However, the draw of personalized learning managed to persist in the wake of the accountability movement, even among policymakers. Mandates to develop them for all students emerged. But impact fell short of good intentions. Plans complied with the mandates but were short on substance. They were largely principal or teacher-created, and most were teacher-driven. Typically, students completed them using a standard template. Students did not find meaning in what looked to them like another fill-in-the-blank assignment. In response, he and EdVisions convened groups of people to work on PLPs in different places around the country. For those new to the work, EdVisions shared their current best practice. Those who’d been developing PLPs were asked to share their best work. What emerged was an ongoing dialogue now over a decade-long and still flourishing. According to Rippe, a fundamental priority from the start was to avoid adding things to teachers’ and students’ plates, which are already overflowing. Instead, the focus was on changing the work. EdVisions coached teachers in how to transition to a new theory of knowledge. The goal was to make PLPs the center of their work and to make PLPs effective and efficient. Over time, students were engaged in the development process. Rippe reports about a third of the students they interviewed liked PLPs. Another half were open to them, but adults had to sell them on the idea. Not surprisingly, approximately 20 percent had no interest at all and were openly critical. EdVisions probed further to find out why. What was missing, they realized, was the personal in personalized learning plans. The feedback from students was invaluable and sparked the newest generation of EdVisions’ work with students and teachers that makes the personal element the primary focal point. By deconstructing, then reconstructing the PLP they have been able to give students the autonomy to drive their PLPs. This has transformed understanding of the role and purpose of the PLP. More importantly, it has led to developing plans that are more meaningful and useful. Even though each plan may look different per the individual, there are several essential elements. The PLP must include self-exploration. Students need to know who they are as an individual, as a learner, and as a member of a community. Second, a student-led conference is held three times a year where they present who they are, what they’ve achieved, and what they are challenged with. Rippe is quick to note, “It is not a student-parent-teacher conference. Kids need the freedom and flexibility to do it their way.” Student reflection is a third critical element. The adults’ role, Rippe says, is to provide students with a vehicle to explore, a time to present, a time to reflect (document), and a time to grow and regenerate the PLP. It is a recurring cycle that ensures the PLP is a dynamic, living plan that serves as the focus for a student’s learning. “It (the plan) can take a lot of different directions, almost like a menu,” he points out. Their newest work is about collecting activities to generate such a menu. And why not? Teachers have long wanted to have more control over their own professional development. When working with a school, EdVisions encourages teachers to create their own PLP to serve as the focus of their individual learning needs and interests. When working with a school, EdVisions turns to the students and staff to help them make PLPs simple and sustainable. Years of work on perfecting PLPs has been captured in a new book by Rippe and Nicole Luedtke, along with a group of students from Valley New School in Appleton, Wisconsin. Luedtke is an advisor and EdVisions coach at Valley New School. Coming out this spring, Transformational Personal Learning Plans, A Universal Approach for Everyone summarizes 12 years of EdVisons’ work with over 100 schools throughout their network to design and develop PLPs, including Valley New School. Their ongoing collaboration with students and staff is featured in the book and will be a useful resource for practitioners who want to take their PLPs to the next level. Faced with today’s challenges, we need to remember that teaching is about developing people. While providing good content and helping them acquire skills are cornerstones of their formal education, they are not enough to inspire students towards greatness. Through personalized learning plans, we can engage students’ heads and their hearts in all aspects of schooling, but only if each plan is authentic and genuinely personal. Consider how PLPs fit into the culture at your school. Are they personal? What do students say about them? Are they grounded in using sound theories of cognitive development? Do they take into consideration students’ social and emotional needs? Depending on what you find, it may be time to deconstruct your PLP and allow a new iteration to emerge. When you do, don’t forget to let the masters like Piaget, Maslow, and others influence your effort. 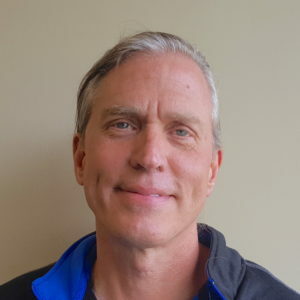 If you’d like more information on PLPs from Dr. Steven Rippe, you can contact him at stevenrippe@edvisions.org or call him at 612-601-1083. Today on the blog we have a guest post by friend of EdVisions, Dr. Nancy Allen Mastro. We hope you enjoy her thoughts on redesigning school spaces for personalized learning. Education is no longer confined to four walls. Technology has made the world a veritable classroom. But even though students can search the globe for information, learning continues to have a communal aspect. There will always be a nexus between a student and teacher that occurs; space for them to come together is still an essential part of the exchange, even in one that is virtual. Outside of what students can learn online, it is likely they will continue to spend a good portion of their day in a place called school. Besides educating its members, society depends on schools to serve as caretakers of the children while parents work. This is not likely to change anytime soon. But the dynamics of the space called school are changing. As the demand for personalized learning grows, so too does the need for us to rethink about how we configure schools and classrooms. If form truly does follow function, a highly personalized setting begs a different look. We are in an era where we know much more than we ever have about what it takes for students to be successful in school. We possess an insider’s view of how the brain functions. As a result, we have a deeper understanding of effective pedagogy. And we can document the importance of student engagement. 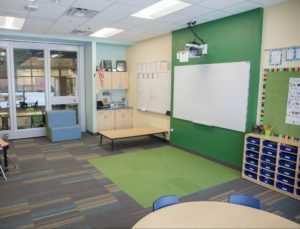 Traditional spaces are frustrating for those trying to create the kind of classroom environment that takes each of these into consideration and deliver innovative programs. If we want to personalize learning, schools and districts need to do their part to transform that which is limiting into something that is genuinely transformative. It’s time for a redo. Three key things can power the conversation. First, we need to invest in the right infrastructure. Machine learning will continue to dominate well into the future. Whether using wireless personal devices or hard-wired network stations, seamless interaction from any location at any time, in or out of school, is the new gold standard. This applies to access for students, teachers, and parents. While it may tempt schools and districts to over-rely on wireless technology, current reality requires a dual system to deliver programming until wireless is more reliable. Second, a variety of different spaces are essential for personalizing learning. Many assumed a computer-based education would eventually mean less brick and mortar, but this has been a misguided notion from the start. For all the attention it gets, technology is only part of what fuels education in a knowledge economy. If used only to replace direct instruction, we will fail to use it to its full potential. Students are consumers of information. Information is useless, however, unless converted into knowledge. Interactions with others and hands-on learning are vital to facilitating the transfer. Space for one-to-one instruction, project-based learning, cooperative learning, and collaborative learning are all necessary complements that depend on more room, not less. In a very small school, this is easy to achieve. In larger schools, students and teachers will need to share spaces, requiring new ways of thinking about scheduling and coordination, not to mention allowing for more freedom of movement for students. Third, hard and soft surfaces that are both functional and comfortable enhance the physical and emotional comfort of the learner. When we tend to students’ well-being, we remove artificial distractions and create conditions for real learning to occur. Furniture that can be quickly and easily moved to suit a variety of purposes rounds out the personalized environment, tapping a simple and underutilized resource as a catalyst for learning. Even teachers are opting for mobile desks that look nothing like the behemoths of old, enabling them to have freedom of movement as well. Schools and districts across the country are taking the lead in creating these types of personalized spaces that are energizing and inventive. According to Paul Aplikowski, a partner and Educator Planner at Wold Architects and Engineers’ office in St. Paul, times are changing for school architects, too, as they respond to the shift in priorities. “We used to stay out of the teachers’ way, but that’s changed. What’s been transformative for me is that people now expect architects to create spaces that are inspiring for students.” He thinks a big driver behind the change is the way new generations of students perceive their world. Aplikowski and his team see a mix in the demand for personalized space. He says everyone knows about personalization, but it is not widespread in practice. “The client has to be ready for it,” he stresses. “We see a reluctance to let change in, especially among teachers who have been successful in the traditional structure.” They often see personalizing learning as “turning kids loose,” but those in the know know better. If the school or district is reform-oriented, he notes, then the building project is progressive in its design. Designers can do anything architecturally, but barriers like a traditional school culture or the budget can be roadblocks to innovation. However, Aplikowski is surprised at what they’ve been able to do. For example, open areas are very inexpensive and can completely change the look and feel of a space. When people see the effect, it changes their thinking. And while features such as glass are more expensive, they provide natural light and more open sight lines. Schools will trade other things to make them affordable. However, if the owner isn’t willing to make those trades and seeks to build both traditional and innovative designs into one building, costs increase. 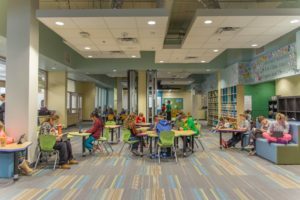 One good example of how new spaces are dotting the landscape is Riverview Elementary School in Farmington, Minnesota, located just outside of the Twin Cities of Minneapolis and St. Paul. They created a multi-age setting by renovating an old, unused locker room. The results were stunning. Large and small spaces are the primary feature; moveable glass walls and doors make the space altogether flexible. Students are free to move about and find what is comfortable for them. Spread throughout the design are spaces for direct instruction and small conference rooms. The space cost nothing more than it would have to build traditional classrooms. What made it different was the vision for teaching and learning the teachers and principal had in mind when they began the planning process with Wold Architects and Engineers. Students, he notes, love when they get to be part of the design. When he visits with students once they are in the new spaces, they say they love the freedom, they love being trusted to do what they need to do. A lot of the things the adults worry about happening simply don’t pan out. “Kids can focus, and the expanded uses of technology do work. If you give kids responsibility, they tend to take that responsibility to heart. If you treat them with dignity, they will behave with dignity,” he maintains. Ready to redesign your space? Aplikowski encourages teachers and principals to find someone in your organization who is already doing it, and empower them to do it more. “We’ve done some small things that start the process, like opening up a wall between two rooms, then study what comes out of that.” He also recommends visiting places that have reconfigured existing space or built new designs altogether. Everyone wants schools to be everything to everyone, do more with less, and ensure success for all students. Schools can fulfill the promise, but not without help, and not without changing simple things like where walls should and should not exist. Thinking outside the proverbial box that is the traditional classroom is quite literal in this case. Timing has never been better. If you’d like to speak to Aplikowski directly, you can reach him at 651.227.7773 or email him at paplikowski@woldae.com. Today on the blog we have a post by our very own Dr. Steven Rippe. Steven is the Director of the Hope Survey and Organization Development. In this post, Steven points out that growth and change don’t take linear paths and offers a few tips for evaluating ideas and projects in school environments. 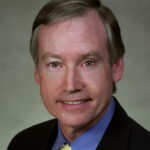 Dr. Steven J. Rippe has over 20 years of experience working with educators and school leaders designing and implementing innovative schools and programs throughout the United States. A successful teacher, principal and University administrator, Steven has worked with passionate educators to create nationally recognized schools and works with struggling schools to reinvent themselves into high performing, dynamic learning organizations. When the first months of school have passed, I often step back and reflect on all the ideas we had as a team over the summer and how they were implemented at the start of the school year. I am often surprised when I look at what I thought was such a great plan and when we went to implement, the work struggled. As a team we often have to rework great ideas, apply band-aids or abandon the idea totally. Over time I have gotten used to the idea that when we team, the collective work we develop often has to go through a phase of “continuous improvement” before we get to a process that really matches our intent and school culture. 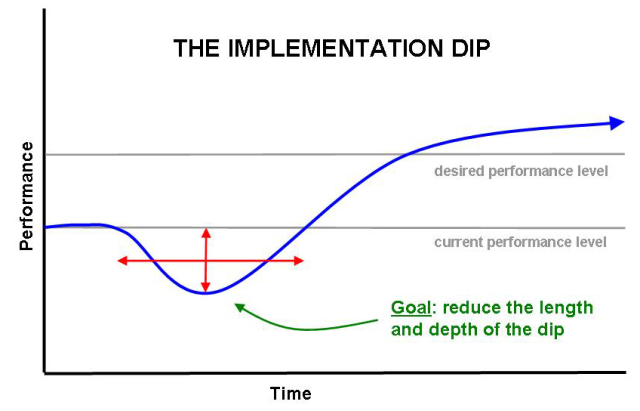 I have also learned to honor the reality that for most teams, whenever we are trying to learn something new, we will experience an “implementation dip” as we move to implementation. In other words, the first attempts look pretty ugly and clumsy. Michael Fullan (2001) states that all successful schools experience implementation dips as they implement new ideas, observable with a literal dip in performance. 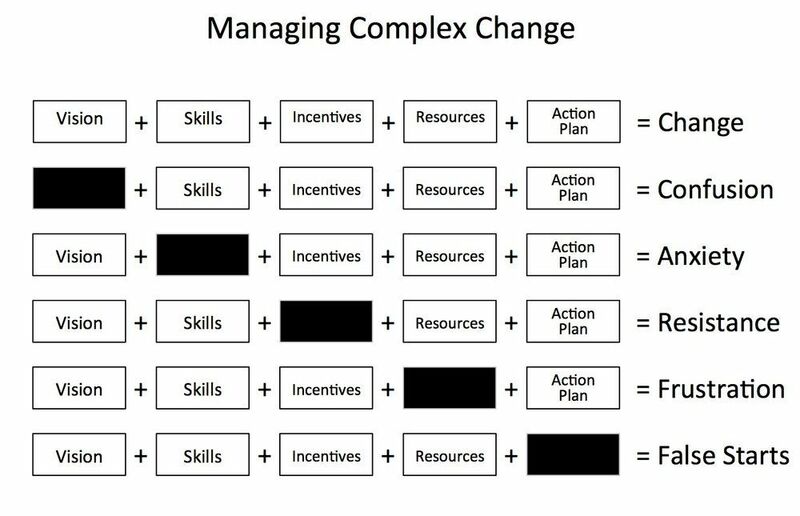 Before I kick new ideas to the curb during the implantation dip, I like to stop and review of the work of Knoster (1991) and Ambrose (1987) on the Factors of Managing Complex Change. This work has been extremely useful in helping teams identify the missing components needed to be successful. Review the graphic below and facilitate a discussion with your team before you abandon new ideas/innovation. The essential question: as we moved to implement XYZ do we need to revisit and strengthen any of these areas (Vision, Skills, Incentives, Resources and Action Plan)? Education in the United States needs to be fueled with new ideas and innovation. Being aware of the “Implementation Dip” and the Factors in Managing Complex Change can be very useful in helping take great ideas into sustainable best practices. If you would like help facilitating this discussion with your team or more information on our professional development services, contact us at coaching@edvisions.org. Charles M. Reigeluth is an educational theorist and researcher who focuses on instructional design theories and systemic transformation of educational systems, transforming from the teacher-centered paradigm founded in time-based student progress to the learner-centered paradigm founded in competency-based student progress. He has a B.A. in Economics from Harvard University, and a Ph.D. in Instructional Psychology from Brigham Young University. 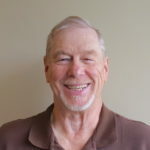 He is a professor emeritus at the Instructional Systems Technology Department at Indiana University, and is a former chairman of the department. We are at a critical juncture in the history of education in the United States. There are powerful forces that want to replace the public education system with a privatized one. While there are advantages and disadvantages with any system, many are concerned about the inequities that a privatized system would likely engender, while others are concerned that, because education is a public good – one that does not benefit just the individual who receives it, but also that individual’s family, community, state, and country – community influence over the schools and what they teach is an important feature that a privatized system would lack. Fortunately, it is not an either/or choice between public schools and private schools as we know them. We can design a system that combines the best aspects of public and private schools. We can design a system in which there is choice and competition, but at the same time greater equity, teacher professionalism, and community involvement and ownership. This paper offers 12 principles that could guide the design of such a system. These principles are offered not as THE solution, but as a starting point for conversations about the design of alternative solutions. We expect and encourage different states to explore different solutions that can be compared with each other. The main point is that we need to move beyond the current adversarial positons that are polarizing education, toward a collaborative process of designing a system that addresses the best aspects of each position. To truly improve education, we need a design process, not a decision-making process. It is our hope that state legislatures across the country will rise to this challenge. There is much disagreement between people who want more competition in education and those who want more equity. There is much disagreement between people who want more accountability and those who want more autonomy and flexibility for educators. Teachers are treated more like assembly-line workers than professionals. Teachers are given responsibility without authority – they are disempowered, having little control over resources and little control over who they work with. Teachers feel undervalued and overworked and often leave the profession early. There is a severe shortage of excellent teachers. Bureaucratic (top-down) accountability systems (e.g., high-stakes testing) are not delivering wide-ranging improvements in student learning and have negative side effects. Bureaucracy is rigid, not responsive to the needs of students, teachers, or parents. Bureaucracy impedes innovation and flexibility. Students and parents have little choice of school, let alone teacher. Many slower learners are being left behind, while many faster learners are being held back from learning up to their potential. These contentious problems may seem overwhelming and insurmountable, yet we propose there is a very feasible and affordable solution – one that creates common ground between the warring factions. The current paradigm of education is dominated by top-down, bureaucratic decision-making structures, a focus on compliance (i.e., disempowerment of both teachers and students), rigidity, seniority, political influence, and little-to-no choice for students or teachers. In this report, we propose a fundamentally different organizational structure and decision- making system that bridge the divide between those who want more competition and those who want more equity, diversity, and professionalism in education. Key features of this system, described below, include small teacher-led schools, choice for students and teachers, greater equity, improved accountability to those who matter most, greater incentives for excellence and innovation, and stronger relationships between teachers and parents and other community members. Building on work by Reigeluth and Karnopp (2013), we propose 12 principles for an educational system that addresses the problems listed above. These principles are organized into four themes: 1) schools as “firms”, 2) district administrative system as servant, not master, 3) district and state governance structures that serve rather than control, and 4) other possible structures. These principles are offered not as THE solution, but as a starting point for conversations about the design of alternative solutions. Professionals in most walks of life organize into “firms,” such as those for architecture, accounting, and law. They run their firms, including all managerial decisions. Those firms tend to be small, avoiding the need for expensive bureaucracy. The professionals are not only responsible, but also empowered, to serve the best interests of their clients. Could such an organizational structure work in public education? In fact, it is already working in public education. The Minnesota New Country School was established in Henderson, MN, in 1994 by about 10 teachers who wanted to collectively run their own school. They were able to do so as a public charter school, but such a school could become the norm within public school districts, with some restructuring of the district. The survival of the Minnesota New Country School depends on attracting enough students, just as an architectural firm depends on attracting enough clients. The teachers choose their leader (usually called a director or lead teacher rather than principal), who is also primarily a teacher, but most of the management is done by the teachers in various committees (personnel, finance, curriculum & standards, operations, public relations, and a few others), sometimes with the help of an administrator whom the teachers hire. (With educational firms located within a restructured school district, the central office could be contracted by the firm to carry out many of these functions.) This school (and many others in the EdVisions network – http://edvisions.org) is a professional model of teaching, rather than a supervisory (labor-management) model. This school was recognized as one of the top eight charter schools in the country by the US Department of Education, Office of Innovation and Improvement, in 2006. This teacher-led-school approach was so successful that Ted Kolderie of Education|Evolving and Barnett Berry of the Center for Teaching Quality created the Teacher-Powered School Initiative in 2014 (see www.teacherpowered.org). This initiative helps schools to form or convert into ones that are collaboratively designed and run by teachers. As of 2016, there were more than 90 teacher-powered schools in 18 states, and another 30 were under development (Berry & Ferris-Berg, 2016). More than half of these schools are in school districts. Teachers have the authority as well as responsibility to best meet each of their students’ individual Their authority includes the power to set the mission of their school, build a structure that supports their mission, and allocate resources as needed to fulfill the mission. Teachers can decide which other teachers to work with. Teachers are accountable directly to their individual students and their parents (choice-based accountability), rather than indirectly to them through a bureaucracy and elected officials (bureaucracy-based accountability). Students and parents choose not only a school, but also a teacher. They are public schools, so they cannot charge any tuition or decide who to admit, so all students have equal access. But “the devil is in the details,” as they say. And teacher-led schools are relatively new. So how are they likely to evolve, or more importantly, how should they evolve, to best serve their students, parents, and community? We offer the following three principles for educators and all other educational stakeholders to consider. Teachers run their small schools, including hiring, firing, budgeting, and other managerial decisions. In architecture and law, professionals run their own firms. In a similar way, teachers in this new organizational structure for education own and run their public schools – within a school district. Teachers band together at any time to create small schools, typically three to twelve teachers each, that are licensed (or chartered) by the school district and rent space from the district. Each such educational firm, or edfirm for short, functions like an independent contractor within the school district (with some requirements, to ensure much greater equity than is typical in public schools today) and is not controlled by the district office. Facilities. In larger traditional school buildings, each edfirm rents a wing or floor of the building from the district and typically shares some facilities, such as the gym, library, and cafeteria. Anywhere from one to 20 edfirms are located in a single building, depending on its size. New educational buildings have a very different design that places shared facilities in a central area, like the hub of a wheel, surrounded by an edfirm on each spoke of the wheel. Staff. An edfirm may have some teachers who are “partners” and others who are “earning their stripes,” so to speak, as in law firms. The teachers may also choose to hire teacher interns, teacher assistants, other staff, and volunteers of various kinds. The teachers have full responsibility for the success of their edfirm and a high level of authority for meeting that responsibility. Teacher choice. A teacher can try to move to a different edfirm at any time, and teachers can choose their focus area and the developmental level of their students. (A developmental level typically spans three or four years in a child’s life.) The new system removes these decisions from the bureaucracy-based decision-making process. Also, the teachers in an edfirm may decide that each teacher’s pay will vary in part according to the number of students each has. Teachers who want a lighter load could be allowed to choose the number of their students, recognizing that opting for fewer students will reduce their salary. Autonomy. The teachers in an edfirm have full authority to decide how they spend their revenue, including the amount of space they rent from the school district, the nature and amount of learning resources they buy or rent, and the number and types of staff they hire. In this regard, edfirms are much like a public charter school or private school, but are “owned” by the teachers (instead of a board of trustees) and are licensed by a school district. Advisory board. Each edfirm has an advisory board made up primarily of their students’ parents but may also include community members who are committed to education. The board is made up of volunteers who are either appointed by the teachers or elected by the parents. The board provides advice and assistance to the edfirm. No school can turn students away or charge extra. When a student is about to enter a new developmental level, the student or her parent(s) requests, in order of preference, their rank-ordered choice of three teachers, which could be in the same or different edfirms. Alternatively, the choice could be among edfirms (which are far more diverse than current schools), with the edfirm assigning the student to a teacher. An independent Family Support Agency (described under Principle 6, “Administrative Structures”) provides information and assistance to parents to help them make the best decision for each child, or to make it for them if they don’t care, thereby enhancing equity. Student choices are made with the understanding that different kinds of teachers (and edfirms) are better for different kinds of students. 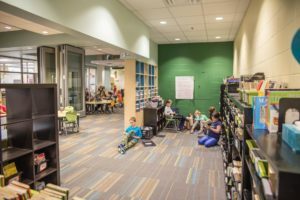 With several edfirms in a single school building, parents and students have choice without needing to leave their neighborhood school. Furthermore, teachers give students and their parents some choice about what to learn and how to learn it, to develop students’ unique talents and interests, as well as their self-directed learning skills. Quality vs. popularity. The Family Support Agency helps to keep this system of student choice and incentive bonuses (described under Principle 3) from being a popularity contest by providing Consumer Reports style ratings on all teachers and edfirms. Furthermore, it is well recognized that education is a public good, meaning it does not just benefit the student who receives it, but also benefits the whole community and state through lower crime rate, greater economic development, more taxes received, and much more. Therefore, there is a rating mechanism that allows other community beneficiaries of education, such as employers and senior citizens, to provide input to inform student/parent choices. This is done with a product rating system, similar to that used by Amazon,® for rating individual teachers and/or their edfirms, which influences students’ or parents’ selection of teachers. Equal access and diversity. Each edfirm decides how many students to accept each year, but it does not decide which ones to accept. This policy ensures that students have equal access to the best schools for them. “Which ones” is decided by a stratified random lottery that maximizes the number of first choices filled district-wide, within the constraints of balance guidelines regarding race, gender, ethnicity, socio-economic status, and whatever other diversity factors the community or state values. * If a private school were to give all applicants an equal chance of being admitted, regardless of ability, disability, race, ethnicity, religion, etc., and were to not charge anything beyond the public funds that follow each student, then such a school could, in our view, be included in the program. Better edfirms receive resources to grow, while worse ones fade away. The higher the demand for an edfirm’s teachers (i.e., the weighted average number of first-, second-, and third-choice requests by students), the higher the incentive bonus an edfirm receives from the state (as a percentage of its per-student revenues). This provides an incentive for teachers in an edfirm to help each other improve, to innovate, and to adapt to the ever-evolving educational needs of their community. Teachers lead. The incentive bonus is a pool of money the teachers collectively decide what to do with. For example, they could purchase more learning resources to improve the quality of education and/or leverage teacher time. Or they could choose to hire more assistants or other support staff, allowing high-demand edfirms to mentor assistant teachers to eventually become members of the district’s pool of experienced teachers from which students can choose, and also providing a way for successful edfirms to take on more students. Or the teachers could choose to put a certain percentage of the incentive bonus to pay its teachers more (and reduce the rate of teacher turnover that hurts students), as happens in other professions where the more successful professionals get to charge their clients more. A teacher’s income is no longer based on seniority but on performance as perceived collectively by one’s colleagues in the edfirm. Teachers can also decide to move to a different edfirm, even in a different school district, without the current problem of losing seniority. This provides much greater choice for teachers. Non-bureaucratic decision making. Conversely, low demand for an edfirm reduces its enrollment and revenue, thereby forcing it to reduce the number of teachers or their incomes, much like an architectural or law firm would do. Ineffective teachers, therefore, do not receive a full salary and might decide that teaching is not the best career for them. This decision is made by the teacher and his or her fellow teachers in the edfirm, precipitated by the choices of students/parents, rather than through a contentious process between the administration and the teachers’ union. This non- bureaucratic decision-making system combines the benefits of competition among edfirms (providing incentives for excellence and responsiveness to the community’s diverse and changing needs and wants) and cooperation within each edfirm (providing support and encouragement among teachers) to make better and quicker decisions at a significantly lower cost. Continuous renewal. Our current educational system is highly resistant to change, making a crisis necessary for significant change to occur. To prevent the new system from being equally resistant to change, it must be a self-adjusting learning organization in which crises are minimized because change is continuous. Teachers are in charge of adapting their practices to the changing educational needs of the community and students – for them to survive – rather than administrators and politicians controlling the changes. However, the school district can adopt certain policies to ensure that the edfirms live up to community (and state) values. The district-wide administrative system serves a dramatically different role than is typical today. Thus, it has a very different structure, as reflected in the following three principles. This system serves the edfirms, rather than controlling them. The district administrative system is designed to support rather than to control, so it receives most of its budget from the edfirms, rather than the other way around. The edfirms buy its services, though it typically must compete with outside vendors to offer those services, including government bodies such as county offices (e.g., for transportation, facilities, purchasing, etc.). There is still a superintendent, and the district office provides a variety of support services to the edfirms and to students, primarily through the Edfirm Support Agency and the Family Support Agency. The district’s Edfirm Support Agency (ESA) serves three roles. Landlord. First, the ESA serves as landlord for all edfirms and manages and maintains all common facilities in each building: cafeteria, library, gymnasium, etc. The budget for this role comes solely from fees paid by each edfirm. Support services. Second, the ESA may be contracted by each edfirm to provide such support services as financial and accounting, purchasing, janitorial, transportation, special education, technology support, family services, and coordination with community organizations, such as health and sports. The budget for this role also comes solely from fees paid by each edfirm. Incubation and enforcement. Third, the ESA supports the incubation of new edfirms and enforces the small number of district policies and regulations (adopted by the district school board) for all edfirms. The budget for this role comes from either the state (based on student enrollment districtwide) or from local taxes, depending on the policy adopted by the state regarding this. The district’s Family Support Agency (FSA) serves two roles. Student placement. First, the FSA is a placement counseling service for matching students with teachers (or edfirms). It provides diagnostic testing and interviews with students to help parents make the best decisions when choosing teachers and edfirms — and to actually make the choices for parents who don’t want to participate in this process. This assistance helps to break the cycle of poverty by ensuring that all students are well-matched with a teacher. Information collection and dissemination. Second, the FSA serves as a Consumer Reports type of service for collecting and disseminating information about the performance of all the district’s edfirms, their teachers, buildings, and support service providers. Comprehensive measures of performance for each of these are prepared by the FSA (often with help from the state department of education) and are available to parents and students. User ratings are also maintained to further help students and parents make good choices. Of course, teachers in the edfirms and learning centers also have access to this information, so they can make improvements. The FSA’s budget comes directly from the state and is based on the number of students it serves. This keeps it independent and unbiased. On both the local and state levels of governance, the new structure differs from the current, top-down, bureaucratic system, as indicated by the next three principles. The district governance system supports the edfirms, rather than controlling them. Standards, policies, and regulations. Unlike the current setup, the district board does not micro-manage and control the affairs of the educational system. The choice-driven decision-making system assumes that function. The district school board sets and monitors the attainment of community standards, and it establishes a small number of policies and regulations that ensure the choice-driven decision-making system promotes equity, diversity, excellence, and other community values. A non- profit charter school authorizer in Minnesota called Innovative Quality Schools (see https://iqsmn.org) provides a good example of how this kind of school district could operate. Dispute adjudication. The district board also manages a Citizen Review Board that adjudicates disputes among stakeholders (teachers, parents, students, edfirms, and other service providers) and protects the rights of disadvantaged students. A state-level review board is in place for cases that the district boards cannot resolve. The state governance system supports the local districts, rather than controlling them. State standards and tests. The state board of education and department of education set statewide standards and monitor their attainment. Relatively few standards are required – that decision is left mostly to the choice-based decision-making system. And the department no longer dictates how or when the required standards are to be mastered. It also no longer requires state tests. State policies and regulations. The state school board and department of education establish policies and regulations that ensure the choice-driven decision-making system promotes equity, diversity, excellence, and other state values, as a kind of check-and-balance on local values. Support. The department of education provides consultants and manages networks to help school districts (ESAs and FSAs) to do a better job of supporting edfirms and families. Research & development. Finally, the state department of education supports research and development to help edfirms, ESAs, and FSAs improve their practices and to provide them with better educational tools and resources. The state provides an equitable revenue collection and distribution system. Property taxes are the most regressive way to support public education. In the current systems, lower-income people end up paying a larger proportion of their income to school taxes, and communities with fewer businesses are at a disadvantage. However, state income tax revenues fluctuate considerably from economic expansion to recession, and the periodic huge budget cutbacks have a strongly negative effect on schools. Income tax option. One solution is to fund education with a dedicated portion of the state income tax, but this approach would require creating a reserve representing a certain percent of the annual education budget during years of economic expansion, to be used to maintain the education budget during years of reduced tax revenues. Perhaps a 10-year budget could be projected for public schools that builds in an adjustment for student population and inflation. Then identify a metric for strength of the state economy to automatically determine when the state budget should allocate money to the reserve, and how much, so that the state budget can be planned accordingly. Property tax option. An alternative solution is to use property taxes to fund education, but to set local school tax rates on a sliding scale, so less expensive single-family dwellings and less-expensive apartment buildings are charged a lower tax rate. However, this does not address the inequities inherent in some communities being poorer than others or having fewer businesses that pay school property taxes. State income tax could be used to even out such inequities. Revenue distribution. Another issue is how the revenues are distributed. Several mechanisms are needed. First is that money goes directly from the state to each edfirm (bypassing the district board) through a formula based on the number of its students, the age of each student, any special needs each student may have, and a supplement for socio-economically disadvantaged students. Second is money that goes directly to the ESA for its third role – incubating new edfirms and enforcing regulations on all edfirms – through a formula based on the number of students in the district. Third is money that goes directly to the FSA for its placement counseling service and Consumer Reports type service, again through a formula based on the number of students in the district. Fourth is money that goes directly to the district school board for the board, superintendent, and perhaps one or two staff members, depending on the size of the district. The above-described structures are foundational to improving teacher empowerment, student choice, equity, accountability, and innovation in an educational system. However, there are at least three additional structures that could further enhance this new kind of system: learning centers, collaboration with family service systems, and the concept of a learning cooperative. In all cases, centers integrate instruction on basic skills and higher-order thinking skills into the focus- area instruction, and the edfirm teacher helps each student put together parts of their personal learning plan that represent a good progression for acquiring skills and meeting required or desired standards through activities in the learning center as well as in their own edfirm. Differences by developmental level. At lower developmental levels, learning centers are seldom used, but a teacher’s “homeroom” (which could be a defined area within a larger space) contains mini learning centers, as in Montessori Schools. At higher developmental levels in places where there are several edfirms, learning centers operate independently of edfirms. Passes. Every few months students receive a certain number of passes that entitle them to use any learning centers of their choice; and students can earn additional passes. The number of passes varies with developmental level, and edfirms that issue fewer passes have more resource money to put into their own learning centers. Therefore, as a general rule, the older the child, the more the child uses the centers. Choice and budgets. Budgets for learning centers are based on the number of students served (the number of passes tallied), giving learning centers considerable incentive to attract students and satisfy edfirm teachers’ needs. This means that a combination of competition among learning centers and cooperation within a center exists to maximize performance. Innovation and change. As in retail businesses, competition pressures learning centers to adjust their offerings to meet the changing needs of students and their edfirms. Learning centers spring up and die off on a regular basis, like stores in a mall. Incubation policies and resources encourage the formation of new learning centers to support a continuous renewal process. “Shopping mall” centers are centrally located facilities with many learning centers, like stores in a mall, ranging from a one-person “craft shop” operation to a regional or national They offer powerful learning environments that incorporate a range of resources — from hands-on materials to web-based multimedia learning environments. Community centers are located in community settings, such as museums, zoos, and These centers bring in extra income and tax breaks for their sponsors to support the learning center activities, and they offer students important learning resources in real-world settings. Mobile centers travel from one school building to another and even from one community to They are found mostly in low population areas and for particularly expensive learning resources, such as an electron microscope or a mass spectrometer. Cooperative arrangements are made so children may use learning centers located in other school districts, like the Challenger Learning Center in the Indianapolis Metropolitan School District of Decatur Township. Staffing. Learning centers are staffed by certified teachers and technical and creative experts as well as parents and community members as volunteers. The Edfirm Support Agency could implement this concept. Family services are more important than ever in modern society. Raising children is more difficult in this age of complexity. Everything from installing a child car seat correctly and monitoring your child’s use of the Internet to avoiding child predators and promoting good nutrition and exercise weighs heavily on many parents who also are typically working full time, volunteering with their children’s activities, and trying to carve out a little time for themselves, friends, and each other. Also, with so many conflicting opinions, expectations, and studies about raising children, parents increasingly need a reliable source of information, someone to turn to with questions about parenting, health services, and much more. To meet the real needs of students in this increasingly complex and dangerous world, school systems should be thought of more broadly as systems of learning and human development, so social service agencies and schools need to collaborate more than ever before. Social services. The new system integrates social services on all levels. The first level is for newborns through five-year-old children and their families. The Independence (MO) School District has implemented such a collaboration for students and their families. The new system also integrates a full range of family services for older children and their families, including healthcare, parent education, counseling, childcare services for working parents, and family literacy efforts. The school is the one place in a community with which a majority of families associate for an extended period of time. This new organizational structure maximizes the opportunities for leveraging that contact to shore up the family’s resources and commitment to education and thus enhance equity and maximize the positive development of all children. Therefore, the FSA typically takes on a third role to help such social service agencies work with families in each building, in homes, and in community locations. Many people over the age of 18 in a community still need the level of education that the public schools offer. To the extent that the edfirms and learning centers can offer them such education, the better off the community as a whole will be. Therefore, each edfirm and each learning center could serve as a community learning hub that functions as a learning destination for all members of its community. But how could edfirms afford to do this? Volunteer for credits. Individuals over the age of 18 must earn credits to use an edfirm’s or learning center’s facilities by donating time to helping others learn, providing child care services, volunteering in the cafeteria, providing custodial or maintenance services, or contributing to the operation of the edfirm or learning center in some other way. With such volunteers, edfirms and learning centers could be open to students from early in the morning to late at night, seven days a week, and the community’s adults would have flexible and affordable opportunities to advance their job skills, parenting skills, and other information needs, which strengthens the community. Furthermore, community members could collaborate with edfirms or learning centers to support student learning out in the community to earn those credits. And students could occasionally work with adult community mentors on projects involving service learning. Safety concerns. To ensure this functions in a safe and reliable manner, all adults who provide such volunteer services to the school must pass appropriate background checks, and related liability insurance and legal issues must be addressed. With those logistics handled appropriately, the learning cooperative concept goes far to lower the cost of public education and make it an effective educational system that truly serves the public. The Family Support Agency might be the best structure for implementing the learning cooperative concept. Kolderie, T. (2018). Thinking out the how. Edina, MN: Beaver’s Pond Press. Reigeluth, C. M., & Karnopp, J. R. (2013). Reinventing schools: It’s time to break the mold. Lanham, MD: Rowman & Littlefield. Today on the blog we have a guest post by friend of EdVisions, Nancy Allen Mastro. We hope you enjoy her thoughts on why and how we should rethink how we assess students to make sure they are future ready. With diploma in hand, a vast majority of college graduates believe they are ready for the workplace. Hiring managers disagree, however. They routinely report that essential communication skills such as writing and speaking, teamwork, critical and analytical thinking, decision making, and the ability to locate, organize, and evaluate information are lacking (Hart Research Associates, pages 11-12). The readiness level of high school graduates is equally concerning. Whether they enter the workforce or enroll directly in postsecondary study, missing is an overarching ability to integrate their thinking in a specific context and apply the appropriate skills for the task at hand. High school and college graduates’ demonstration of what they know and are able to do is largely based on their experience in school. Home life matters, to be sure, as does individual drive and determination, but if school is not giving them a compelling reason to think and act critically in regard to what they are learning, why should we expect them to perform differently in larger life contexts? We need to take a much broader view in terms of how we ask students to show what they know and demonstrate what they can do. In an age of over-testing and misguided dependence on standardized scores as the primary gauge of academic proficiency, our teaching roots call us back to more authentic assessments, which begin with authentic learning. In an authentic learning task, students wrestle with schoolwork that is rich in complexity and high on relevance; assignments are important to them personally. Good examples include things like projects, field studies, essays and position papers, presentations, developing practical solutions, building things, conducting experiments, and solving complex problems. Ideally, students should be part of designing the learning task, at least to some degree. How we measure learning in the context of those tasks and projects must also be authentic. Authentic assessments help drive a learning task to the top of Bloom’s taxonomy when students are given a well-designed rubric that provides clarity on what they are expected to know and be able to do. It serves as both a guide for the student and as a scaffolding device for teachers to ascertain when and what type of support to offer. Check-ins and checkpoints along the way help a student learn to manage time and sustain effort. In the end, when orchestrated effectively by student and teacher, the final assessment should provide clear evidence of learning. Co-curricular activities and the fine arts, which are heavily performance-based, provide a window into how to motivate and inspire students to do their best. Students consistently refer to their participation in sports, clubs, activities, and the arts as highly meaningful to them personally. They learn things like leadership, teamwork, solving problems in collaboration with others, and how to persevere when challenged with a difficult situation. They insist this is where they learn the most about themselves as an individual and who they are as members of a community. It is no surprise that students who participate in co-curriculars and the fine arts generally do better in school. They do so, in part, because they must apply with skill all of what they have learned as they strive toward a specific purpose that matters to them. Herein lie the kinds of experiences that lead to the gradual development of the sweeping range of hard and soft skills that are needed in all walks of life. The same kind of authentic tasks and corresponding assessments in co-curriculars are even more critical for students to experience in classroom and thus should not be limited to the court or stage. Real-world tasks versus those that are contrived require students to integrate their thinking and transfer their learning from one situation, one context, to the next. Interdisciplinary learning, personalized learning, and small learning communities all help make this type of thinking and doing more plausible and ultimately more natural for students. Creating such an environment where authentic learning is the norm rather than the exception is not without its challenges. Traditional educational models enable students to be passive. They can show up, expend little effort, and still pass. On the other hand, when expected to bring a more active mindset to school, it can come as a bit of a shock to them. In speaking with Jason Becker, Director of the New Century Academy in Hutchinson, Minnesota, students often need guidance in how to become an engaged learner. “Surprisingly, it’s more difficult now to get kids to take ownership of their own learning and come up with ideas they’re interested in compared to what we’ve seen in years past. They have information at their fingertips but don’t know how to use it in the regular world” (personal communication, December 5th, 2017). New Century Academy is helping students think critically and solve real-world problems through project-based learning. The school environment and student attitudes toward school also play a significant role in leading students to be integrated thinkers. Students do better when schools do an effective job creating an atmosphere where student agency is fostered and students feel a deep and secure sense of belonging. Successful schools do not leave this to chance and are intentional in understanding students’ perceptions so they can determine what they can do to grow strong, self-directed, capable learners. The Hope Survey is one of many inventories available to assess the school environment and gauge the feelings of students within that environment. Used by EdVisions to help schools measures student perceptions of autonomy, hope, academic press, belongingness, and goal orientation, data gives staff insights into students’ level of engagement and their dispositions toward achievement. According to Dr. Ron Newell, Director of Assessment at EdVisions, the Hope Survey can be a powerful tool for schools that want to foster a culture that positions students for success well beyond the classroom. “There is so much for schools to understand about themselves. Schools really can increase hope for students,” he says (personal communication, November 30, 2017). With data in hand, schools are able to zero in on the total culture and devise strategies to improve student perceptions about self and school. The primary vehicle to channel improvement efforts is through advisories, which are foundational to supporting students. Dr. Newell believes a robust advisory system is a central component of any improvement effort because advisories have proven to work best for cultivating engagement and goal setting. “The Hope Survey is a good perceiver in terms of how successful students think they can be. Having goals helps people’s hope to continue to grow. When we help students set goals, as in a personalized learning plan, this helps them to become goal-oriented. They have decisions they need to make, and when they make decisions they become self-directed. These are the ‘learning to learn skills.’ That’s what life’s about, and that’s what we’re trying to teach kids to be about.” He reflects that when schools implement the kinds of strategies that EdVisions helps them target, they see improvement. 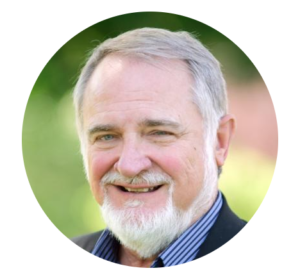 If you’d like further information on authentic assessments and how EdVisions can support you, or if you’d like information on how to utilize the Hope Survey to improve student outcomes, please contact Dr. Ron Newell ronnewell@edvisions.org. He can also be reached at 507-317-2223. Today on the blog we have another guest post by Bob Wedl, who posits that personalization in education starts with the essential question “what if…”. We hope you enjoy his thoughts below! Bob Wedl’s career in public education includes experience in both district as well as chartered schools, state department leadership and higher education. Bob served as Minnesota’s Commissioner of Education in the late 1990’s leading Minnesota’s innovative standards and measurement initiatives, electronic data collection systems and new finance models including having revenue following students to the sites they attend. In the late 1980’s and early 90’s while serving as deputy commissioner of education, he was a leader in the development of much of Minnesota’s choice policy including open enrollment, post-secondary enrollment options, “second chance” programs and the nations first charter school law. Bob served as the Executive Director of Planning and Policy for the Minneapolis Public Schools where he led the development of new models for serving students, expanded the Response to Intervention (RtI) model and assisted develop a “value-added growth accountability model.” He also provided direction to the district’s nine chartered schools and 33 contract alternative schools. Bob is an adjunct faculty member in the education administration departments at the University of Minnesota and the University of Saint Thomas. He has undergraduate and graduate degrees from Saint Cloud State University. “Personalization” is the latest buzz word in education…and that’s a good thing. This isn’t the first time education has walked down this path. But with today’s technology, personalization is now more doable because we can more easily track where each student wants to go and where they are on their personalized learning path. Doing that by paper-pencil was a huge task and the weight of 3-ring binders of student information caused “Individually Guided Education (IGE)” schools in the 1960’s and 70’s to discontinue their efforts. In project-based learning schools, personalization is built into the design of the school but in course and class-based schools, that becomes a bit more complicated…until we ask, “What if…” Like, “What if…we stop requiring students to learn the competencies they already know?” This can be asked in any area but Algebra I is a good example. What if we said to students and parents, “If you wish, you can independently access xyz algebra program online (at no cost to you) as it addresses all of the state standards and you can meet the requirements this way. Many students will jump at this chance. Some students will complete the course in a week others in a month. Some will do it over the summer others during middle school but each at their own pace. Or, “What if…we have classes of 120 students in Algebra I in an on-line class with one teacher and a para helping those students that need assistance and as soon as students have met the competencies they are finished with the course and go on to a new set of competencies. We are not asking, “Should students learn Algebra” because indeed they do need those competencies…but when we personalize we also need to have various instructional designs ready to match the learning needs of students. Some students don’t need any instruction other than the amazing on-line instruction that indeed can replace the live teacher. Note: Psst you…the one that is saying to yourself right now, “Well that’s crazy. Everyone can’t learn that way. Computers can’t replace teachers.” You are right. Not everyone can but in personalization, “everyone” gets replaced by “this student.” That is why I said “some students…” and indeed “this student” can…so let her. I personally know students that have learned algebra I online over the summer…and then came back in fall to enroll in… yep, Algebra I. Key to personalization is the validation of learning. Even when teachers do not directly teach, learning needs to be validated. In some cases that will be the same tests teachers use for classes. But we accept independent evaluation of learning now such as AP tests perhaps we need to be open to other validation methodologies as well? “What if…” questions can be asked in many areas. For example, we value students learning a world language yet most schools use the most expensive and least effective method for teaching world languages. Elementary schools have a few Spanish language classes a week. Seriously, are students really learning Spanish? We wait until the language-learning years (birth to age 8) have passed and then we begin. “What if”…we began Spanish immersion in pre-k when children’s brains are wired to learn languages? We could use paras who were Spanish speaking along with teachers fluent in Spanish? Children would come to K fluent in a world language. Dee and Doug Thomas asked the question, “What if teachers could make all the key decisions regarding the operation of the school?” Not just be on a committee. Years and mountains of data later tell us this works pretty darn well and an entire national movement has begun using this school management model that is empowering professional teachers as never before..
Dr. Stan Deno at the U of M asked, “What if we collected one-minute samples of students reading in grade-level texts as a way to determine how well they could read? And what if we measured the impact of our instructional interventions weekly to see how well the instruction worked.” With that “What if,” “Curriculum-Based Measurement (CBM)” was born and validation studies of this RtI model by Dr. Doug Marston at the Minneapolis Schools and Gary German, Dr. Kathy Howe and Dr. Kim Gibbons at the St. Croix River Education District (SCRED) demonstrated its amazing effectiveness. Now the RtI model has expanded to MTSS and is widely used across the country. Professional Learning Communities can be asking the “What if” questions. “What if” we combined grades 11-14 so that students, using personalization, received their AA or career certification instead of a high school diploma and at no added cost to the state but huge savings to families? Some “What if” will require exemptions of laws and rules ant that is what the Innovation Zone enacted in 2017 does. The Legislature, led by Representative Roz Peterson, enacted the Innovation Zone law that removes numerous laws and rules in exchange for letting teachers and administrators try innovative ways to improve learning and schooling. Asking, “What if” is the beginning of thinking differently…of innovation and redesign. Try it…you’ll like it. Today on the blog we have a guest post by friend of EdVisions, Nancy Allen Mastro. We hope you enjoy her compelling reasons for embrace personalized education by everyone in the education community as well as some great suggestions for students, teachers, parents and policy makers. Personalized education is not a buzzword with an expiration date! Is personalized learning the latest buzzword, soon to be abandoned in the graveyard of education innovations? Probably not. After all, learning always has been personal. School is a particularly intimate experience, even for the seemingly most unengaged student. Unfortunately, too many students don’t see purpose in what they are being asked to learn, and they don’t see themselves reflected in an ever-expanding curriculum. This is especially true for students who have been minimized in traditional education settings. Nor are students who presumably do well in school acquiring the knowledge, skills, and abilities needed in a highly complex, global society (Wagner, 2008). Fortunately, personalized learning offers a viable pathway out of the dilemma in which we find ourselves. While the best definition of personalized learning is one that is developed locally, the United States Department of Education defines it as “instruction in which the pace of learning and the instructional approach are optimized for the needs of each learner. Learning objectives, instructional approaches, and instructional content (and its sequencing) may all vary based on learner needs. In addition, learning activities are made available that are meaningful and relevant to learners, driven by their interests and often self-initiated” (p. 7). As the education community turns its attention to personalized learning, it would be easy to embrace such lofty goals but end up short on substance. How do we make good on the promise that awaits? Students deserve to be challenged and supported in a way that meets them where they are at. Personalized learning is the only way in which we can provide full access to ideas, opportunity, and excellence for all students. This is simply not happening. Gaps exist, and they are real. What personalized learning offers is the ability to circumvent those gaps and make each individual student’s personal experience the starting point from which all else in school is constructed. When we personalize learning, student voice and choice become the engine that drives motivation and fuels engagement. We also live in an age of mass customization. Banking is personalized, entertainment options are personalized; we can even customize our favorite brands to suit our personal preferences. We’d be foolish to think people don’t expect the same kind of opportunities when it comes to education. Thanks to advances in technology, for the first time in history, tools to personalize are available in schools. The tools of old force a certain mindset about school. New tools, on the other hand, create an exciting and virtually unlimited space for a different way of teaching and learning to emerge. Today’s apps, online resources, and robust learning management systems are truly transformative. Students can move at a pace that is appropriately matched to their prior knowledge and readiness for new content. They are afforded a level of individual choice, which not only empowers them but additionally requires a level of engagement and personal responsibility that vastly exceeds simply showing up and occupying a seat in class. And the way in which students can get frequent, individualized feedback helps students, teachers, and parents know just where students are at in their learning. Finally freed by technology from standing and delivering content, teachers can work more readily with individuals and small groups on more complex learning endeavors. When an individual learning plan (ILP) becomes the focus of a student’s day at school, the student becomes the focus of the teacher. Central to the ILP is project-based learning, where old meets new in terms of how we think about students’ role in their learning. Students have always completed projects in school. But when students choose their own projects and are required to shepherd them to completion, they become self-directed learners. Choices are guided by a structured framework of standards and learning targets; assessments are determined from the start. A worthy project has a series of steps and stages that are carried out over an extended time. Most of all, a project must be personally meaningful to students and answer substantive questions. This is what makes school relevant for them. Escuela Verde demonstrates that a vision for personalizing learning is possible. A public charter school located in Milwaukee, it educates approximately 100 urban youth in grades 9-12. Students conduct research to answer complex questions and solve problems and challenges that are personally meaningful and relevant to them. They work closely with their community in a self-directed manner through projects, internships, and overnight experiences. Personalizing learning is not easy, but it is worth it, says Joey Zocher, who has been at Escuela Verde since it opened six years ago. She feels liberated from tradition. That said, staff, students, and parents need to unlearn most of what they know about school. “You learn as much as the kids do,” she says (J. Zocher, personal communication, November 21, 2017). “You have to ask yourself, are you really willing to share power?” Staff at Escuela Verde guide students in rethinking their role in their learning and guide each other in self-governing their school. Teachers, whom they call advisors at Escuela Verde, are shifting to truly facilitating learning versus sharing knowledge. “It’s still tempting for teachers to tell rather than guide. It’s different for students too,” Zocher points out. “Kids come in skeptical; it takes time to build trust. The old system is still there, and it’s easy to give up when kids realize it’s hard to hold yourself accountable.” It takes time for students to transition to being self-directed, and not all are successful. Even students who have done well in traditional settings can struggle with new expectations. “It’s messy,” Zocher admits, “but that’s not a bad place to be. Project-based learning is important because it lets kids take ownership.” Escuela Verde also focuses heavily on career and college readiness. “Students are so used to being told what to do, they don’t know themselves, and they don’t know the skills required of a job they think they are interested in.” Staff help them identify their interests and honestly assess their strengths and weaknesses. EdVisions is proud to have played a part in assisting Escuela Verde on its journey and applauds the progress it is making. 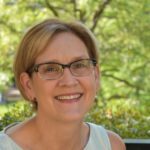 “Personalizing learning is important because it meets students where they are at.” So says Krissy Wright, Professional Development Director at EdVisions, which offers a multi-faceted approach to supporting schools who want to personalize (K. Wright, personal communication, November 10, 2017). Their approach starts with their Ed°Essentials, but the similarities from one school to another end there. “We have our model, but it’s counterintuitive to say schools must follow it, all or nothing. We personalize support by helping teams know where they can begin based on where they are at and weave our practices into what they are already doing.” When one part of the system changes, the rest of it is affected. EdVisions’ focus on tying all of the parts together is what sets their type of support apart. Wright stresses that creating a small learning community and a robust advisory model are key elements to personalizing. Projects stem from the advisor/advisee relationship, and they encourage schools to carry that through to the personalized learning plan. EdVisions’ Hope Survey is useful in assessing student engagement, hope, belongingness, and academic press, and it provides insight into whether a student has a growth or a fixed mindset about their learning. Wright also acknowledges that the challenges and barriers to personalizing learning have a lot to do with unlearning what has been past practice. A growth mindset and a shift in practice are necessary for making it through some difficult transitions for all concerned. “Staff need to learn how to work alongside students. We assist teachers in taking ownership of personalized learning and how they can model it for students. When the staff operates in a democratic environment, they model those practices for students too.” Resources are yet another challenge. Many schools don’t have funds or time built into their schedule to support the cost of field study, and it can be hard to find community experts to work with students on the wide array of projects they have selected. So how do we make personalized learning doable, meaningful, effective, and sustainable? A whole host of things must occur, but some starters include the following. Rethink course design and favor student-centered over content-centered approaches. Modernize pedagogy and shift the art and science of teaching to one in which the teacher supports, rather than controls, learning. Iterate. Start small and embrace failure; expect your skill and ability to personalize learning to evolve over time. Start with a clear theory of action. Engage staff in deep planning around why to personalize, how it can and should look, and what the intended outcomes will be. Communicate your theory of action widely, frequently, and clearly. Provide robust, committed, and sustained training and support. How a teacher personalizes learning will look different from one classroom to the next; give teachers expressed license to experiment. Invest in the right tools. Personal devices, online access, digital and adaptive curriculum, and learning management systems all are necessary to making the logistics of personalizing manageable. Recreate learning spaces that are flexible, purposeful, and suitable for students to move and learn freely. Own your learning. Accept responsibility to direct it in partnership with your teacher. Make choices that matter. Jamie Casap, Google’s “Education Evangelist” likes to ask, “What problem in the world do you want to solve?” What would your answer be? Start your learning there. Challenge yourself. Contribute to making school a place you and others want to be. Let schools be different. Learning won’t look like it did when you went to school. Trust that new ways will enhance, not jeopardize, student success. Accept technology for the tool that it is. Keep in mind that screen time enables more time to be spent on hands-on, real-world projects that include working independently and collaborating with others. Let your children struggle. Failure along the way will only make them stronger. Help teacher candidates break free of limiting views resulting from their own experience as a student in a traditional model and insist they are able to distinguish their role from delivering content to facilitating and supporting learning at a deep level. Immerse teacher candidates in experiences that incorporate new teaching strategies that specifically focus on the integration of technology as an accelerator of learning. Provide teacher candidates with training in how to design flexible learning spaces that work best for student learning. Change school funding models from generating revenue based on seat time to funding the true cost of educating students in the 21st Century. Fully fund the cost to create technology-enabled teaching and learning. Allow schools to move to proficiency and competency-based models for awarding credit. For more information on how EdVisions can support you and your school community in personalizing learning, contact Krissy Wright at krissywright@edvisions.org or call 612-601-1093. U.S. Department of Education. (2016). Future Ready Learning: Reimagining the Role of Technology in Education. Washington, DC. Wagner, T. (2008). The Global Achievement Gap. Perseus Books, NY. Guest Post: Are Chartered Schools good schools? Today on the blog we have a guest post by friend of EdVisions, Bob Wedl. We hope you enjoy his insights as he tackles a problematic question. Are Chartered Schools good schools? When this question is asked it is clear those asking the question don’t quite get it. Would one ask, “Are leased cars any good?” Likely not as leasing is not a kind of car any more than chartering is a kind of school. They are both management options to access cars and schools. Minnesota has more management options for starting public schools than does any other state and chartering is but one of these management options. Other management options, in addition to district-board created, include site-led (teacher-powered,) contract alternative schools, area learning centers, legislative created (Rudy and Lola Perpich School for the Arts and Schools for the Deaf and Blind), university lab schools (although Minnesota has none right now) and I would include PSEO as well. These different options are “management innovations.” Whether any of these management options result in “good schools” depends on what is created and implemented. Why did the Minnesota Legislature enact DFL Senator Ember Reichgott Jung’s charter bill in 1991? Reichgott Jung says it was that education needed innovation and redesign and the current district arrangement was simply not doing that. The charter law recognized that we needed both improvement of what we currently had as well as a sector whose focus was on researching new and different models. Ted Kolderie refers to this notion in his book titled The Split Screen Strategy. Chartering was intended to be the R&D sector of public education. One of the most significant designs researched early in the chartered sector was the concept of schools designed and led by professional teachers. Dee Thomas, a district high school principal and Doug Thomas, a district school board member, knew the century old superintendent-principal led school was not designed to empower professional teachers. What would happen if teachers could call the shots? Kim Farris-Berg asks in her book, Trusting Teachers with School Success. Dee and Doug led the design of “Minnesota New Country School” using the management option of chartering to help answer that question. Avalon School followed as did a plethora of others in the chartered sector. Are these schools successful because they are public chartered schools? Of course not. They are successful because of what the management option of chartering enabled teachers to design. Part of the idea behind chartering was that when new ideas were successful, districts would leap at the opportunity to implement them. But that did not happen. Instead almost all district boards, superintendents, principals and teachers saw chartered schools as organizations that were taking away “their students.” Former Minneapolis Superintendent David Jennings even called charter schools “the enemy.” While some innovative thinking teachers wanted to design schools they believed would be successful, many were reticent to use chartering. To be fair, some superintendents did as well. Because of that, in 2009, Rep John Benson, a former Edina teacher union leader along with strong support from Mpls district union leaders Louise Sundin and Lynn Nordgren sponsored legislation that enabled districts to access the same flexibility and autonomy provisions of chartering without actually chartering a school. This was a huge breakthrough for the district sector to be able to have the same flexibility from laws and rules as did the charter sector and teachers have the autonomy of chartered school teachers and also keep the same amount of money as district schools which is considerably more than the chartered schools. Shocking…but no district takers. Minneapolis tried but its internal bureaucracy stifled the one school and it closed after a year. So the 2009 law basically went unused until Lakeville Superintendent Lisa Snyder convinced the Lakeville Board to empower Julene Oxton and several other teachers. The movement has begun. With education | evolving leading the Teacher-Powered Schools Network around the country, the innovation research in the chartered sector is fulfilling the real mission of the chartering option. To research new and different models and to have the district sector replicate those that are successful. I have been part of a wonderful community of educators that has been studying personal learning plans for over a decade. The idea of a true personal learning plan, one that inspires and guides us to become our best, has been a goal worth pursing. Reflecting on the work of Chris Argyris, I am forced to realize that what we have in our heads around the purpose and process of personal learning plans and what we practice, are often fundamentally different. In this article I will describe the PLP gap, how we arrived there and the new opportunity we have to actualize our original intent. Working collaboratively with students and educators across the United States we were able to identify elements that facilitated authentic, engaging and transformative personal learning plans. Each year we met and shared our best practices and offered workshops to educators and schools interested in using our process. We do know that our work spread throughout the United States and has taken on a life of its own. We also knew that we still had work to do to make this process work for everyone. As we were gaining momentum with our personal learning plans, the effects of the No Child Left Behind Law (NCLB, 2002) began to take hold. According to Education Week (2017), NCLB effectively added a new federal role in holding schools accountable for student outcomes, with harsh consequences for not meeting “Adequate yearly Progress”. As I traveled throughout the United States working with schools, students and teachers frequently reported that personal learning plans had devolved into an assignment and for some, it felt like another control device to get them to achieve on high stakes tests. Fortunately, we did have a network of schools and committed educators that continued the work and are producing amazing personal learning plans. NCLB was replaced in 2015 with Every Student Succeeds Act (ESSA), which sets the stage for a new mindset around data collection, including socio-emotional growth and the role of personal learning plans. Perhaps it is time we challenge our epistemology and practice on how we are engaging in personal learning plans with our students, staff and ourselves. We are teaching and learning in a time that encourages authentic personalization. I am currently involved in a book project on the next generation of student-led personal learning plans with students from Valley New School in Appleton Wisconsin, along with Nicole Luedtke (advisor at Valley New) and Dr. Walter Enloe. If you would like to be involved in our learning community, including our yearly gatherings and /or would like to contribute to our writing project, please contact me directly at stevenrippe@edvisions.org.